Create awesome dinosaur scenes with this sticker activity book for boys and girls age 5+. 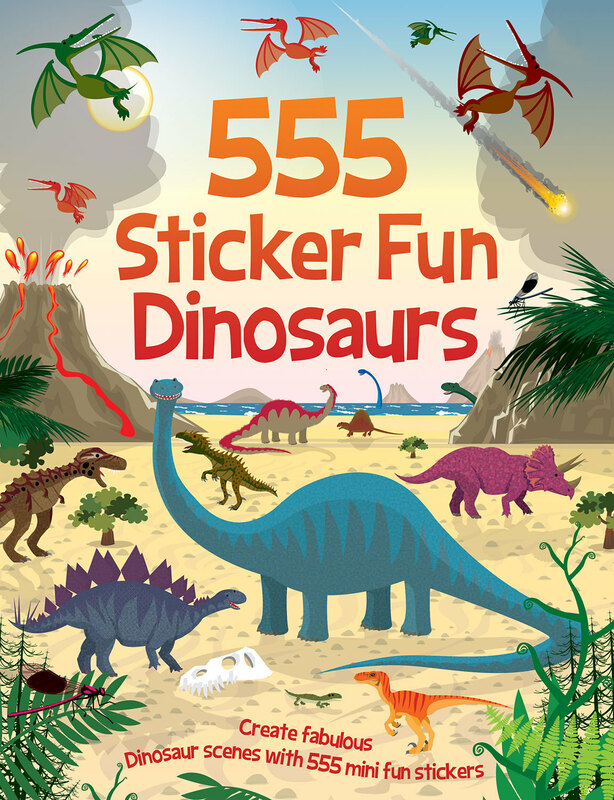 Written by Oakley Graham and illustrated by Dan Crisp, 555 Sticker Dinosaurs features simple, factual text which sets the stage for prehistoric action scenes. From the mighty meat-eating T. rex and Spinosaurus to gentle plant-eating giants like Diplodocus and Apatosaurus, readers can complete the scenes for dinosaur-themed fun using the hundreds of stickers that are included. A perfect activity book to give to a child for dinosaur sticker fun.